A federal judge in New York shook the gaming world in August 2012 by ruling that poker is predominantly a game of skill and therefore not “gambling” under the federal Illegal Gambling Business Act (“IGBA”). The opinion is significant. The IGBA was the most important remaining federal statute that could be applied to Internet poker, now that the Department of Justice has limited the Wire Act to sports betting. And any court that wants to declare that poker is predominantly chance will have to deal with Judge Jack B. Weinstein’s detailed 120-page-long opinion. But the impact will be less than most commentators think. The decision deals with only one specific statute, the IGBA, and expressly states that poker is still illegal gambling under other laws. And the decision is so weak in so many places, that it will probably be overturned, if taken up on appeal. Play-money poker giant Zynga hinted last week that it conceivably could enter the real money gaming world (i.e. gambling). The Facebook-facing poker site’s interest might seem reasonable in light of the Department of Justice’s recent re-interpretation of the 1961 Wire Act, limiting the scope of its prohibitions to sports betting. But there is also a more cynical interpretation of Zynga’s announcement. With its stock price languishing after its initial public offering, Zynga needed a growth storyline that shareholders might believe. I could write more about why Zynga’s announcement may be more of a semi-bluff than a made hand, but an online gaming insider has done that already. Bill Rini asks Zynga Ready For Real Money Gaming or Trying to Hide Failures? Leroy’s primed to dominate a nascent industry? This is a little confusing … because didn’t Barney Frank succumb to the NFL and make sure sports betting wasn’t included in any bill that codifies American freedom to gamble online? Pokerstars has confirmed with its players that indeed, some payout funds have been frozen in American banks — but they’ve credited back affected monies with a 10 percent inconvenience bonus and an invitation to try again, Gambling911 reports. If you wish to resubmit your cashout request, you can do so from our Cashier by selecting the check option (your new check will be issued on a different account and can be deposited as normal) or wire transfer (only available for amounts greater than [$2,500]). But while Stars’ “take care of the player first” approach may be admirable, wiring money through a new financier may just be a temporary solution to eCheck problems affecting thousands of players — a little game of financial cat and mouse (+ good-will PR) while a bigger, costlier legal battle takes shape. Under advisement from the DOJ agent, a federal prosecutor in New York’s Southern District apparently got a magistrate to sign off on seizure orders last week for multiple American bank accounts connected to PokerStars payouts. The court also issued subpoenas (warrants?) for two individuals to appear before a grand jury on June 18. Minnesota vs. Online Gambling; Barney Frank, Wire Act to the Rescue? The state of Minnesota has decided to use the 1961 Federal Wire Act to target the online gaming industry, at the very same time Representative Barney Frank has decided to target the UIGEA for repeal! All this and a friendly warning for players and webmasters. Online poker software creator Anurag Dikshit agrees to pay off the US gov for his “crimes”. From the Financial Times: Party Poker co-founder Anurag Dikshit will appear in the Southern District Court of New York Tuesday to plead guilty to violating the Wire Act, pay a $300,000,000 fine and cooperate with the Department of Justice in the hopes of avoiding a 2-year jail sentence. Dikshit currently owns 27% of Party Gaming, but it appears he won’t have to divest his holdings in Party after pleading guilty. Ruth Parasol and Russ DeLeon, who also co-founded Party Poker, don’t appear to be near any type of settlement with the US government. 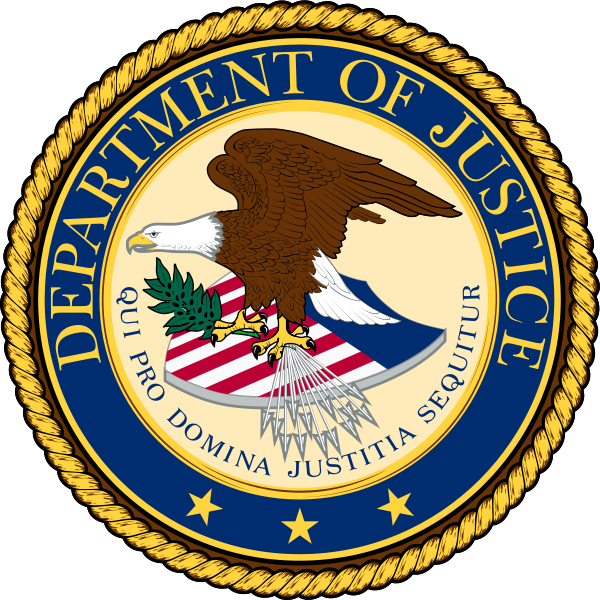 Party Gaming has been negotiating with the Department of Justice for some time now; could this mean their eventual return to the US if and when Internet gaming is regulated? UPDATE: Party Gaming has released their own press release stating that they are still in final negotiations with the US Dept. of Justice in terms of a settlement, and that they will pay a substantially lower amount to the US government than Dikshit. At the time of this update, they’re up over 25% in trading today. 5pm UPDATE: Dikshit has entered his plea, and is free on a $15m bond, which limits him to travel within the European Union, India and New York. He has also already paid $100,000,000 with another payment due in 3 months, and the rest by September. Also, he’s scheduled for sentencing December 16, 2010. Further details here.